Suzuki is a famous name in the automobile sector in Pakistan. It has earned a good name in the market. This is the result of its amazing quality vehicles. Hence, whenever a product has Suzuki along with its name. It is automatically of immense trust by default. Recently. 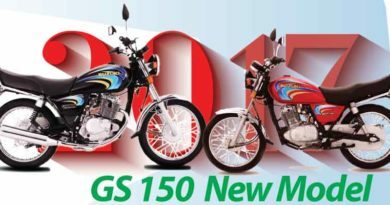 Suzuki 110 is introduced in the market. Suzuki motorcycle 110 is certainly one of its types. Suzuki gd 110 not only have powerful design and exterior. It also has an engine with Euro II Technology. This type of engine is particularly popular for giving great mileage at low fuel consumption. However, that’s not it. Along with impressive mileage. The style is not ignored either. Pak Suzuki has a very good name in cars. Similarly, it has an equally great name in the motorcycle market too. It happens to be the partner of the Japan automaker Suzuki. It is famous for making top quality cheap cars. So far they have given the market some great Suzuki bikes. 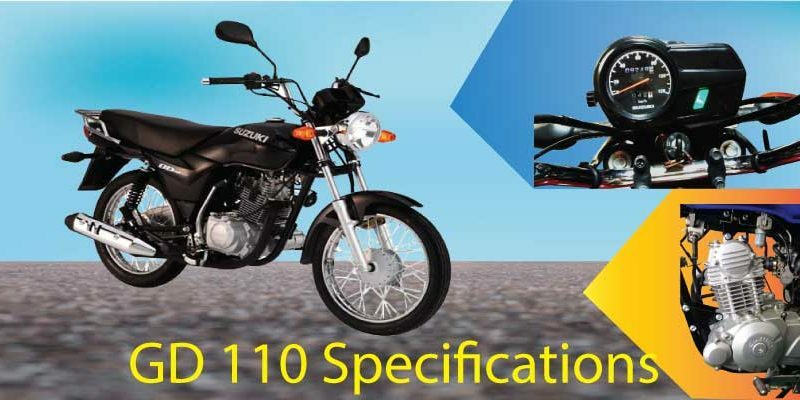 Suzuki 110 is one of the exceptional bikes from Suzuki. 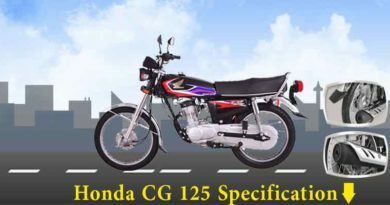 Suzuki bike 110 engine is 4 stroke, single cylinder engine which is air cooled. It does have a backbone frame like almost all the bikes. Providing convenience while riding the bike. S110 dry weigh is of 108kg, making it heavier. On the bright side the heavy weight of bike will give greater stability on road. Fuel tank capacity is of 9litres. However, the assumed mileage of S 110 is 62kmpl which is quite decent. Bore and stroke is 51.0 x 55.2 mm with ground clearance of 140mm. Wet type multi-plate clutch with displacement of 113cc. Dimension of S 110 is 1900 (lxwxh). Tire at front 2.50- 17 and tire at back 2.75-17. Suzuki 110 is not only a modern bike but durable too. Once on road, it will certainly catch the attention of passers-by. Most importantly Suzuki Euro II technology makes the bike highly economical. The fuel consumption is certainly low and is friendly in a pocket. The bike is available in 3 colors. Two basic colors of black and red but excitingly it is also, available in grey. The design head of bike is sporty holding the attention of a young generation. Along with digital speedometer is another exciting feature. The rims of the wheel are of aluminum alloy. Not only adding to its exterior beauty but will act as a shield against rust and humid climate. The design of the seat is also comfortable and ground clearance is of 140mm. Making long rides a delight. The mufflers are plated with black chrome. Adding style to its design and making it slight eco-friendly. Since black chrome mufflers provide better exhaust. 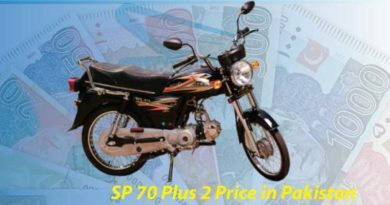 Suzuki 110 is available in the market at PKR.131,000. The price is a little high. Making it more of the luxury bike then something to buy for everyday use. Since its coming from Suzuki family it is certainly reliable. The spare parts and repair will not be an issue. However, the company only offer 6 months warranty or on first 6000km. If one is looking for something different. Also, paying little extra will not be an issue then this bike is certainly a buy. Suzuki will surely not disappoint one and will add plenty of style to one’s life.